The "Paddle and Wheel" is a discounted combination of the Steamboat Natchez Cruise (paddle) plus the Super City Tour (wheel)! 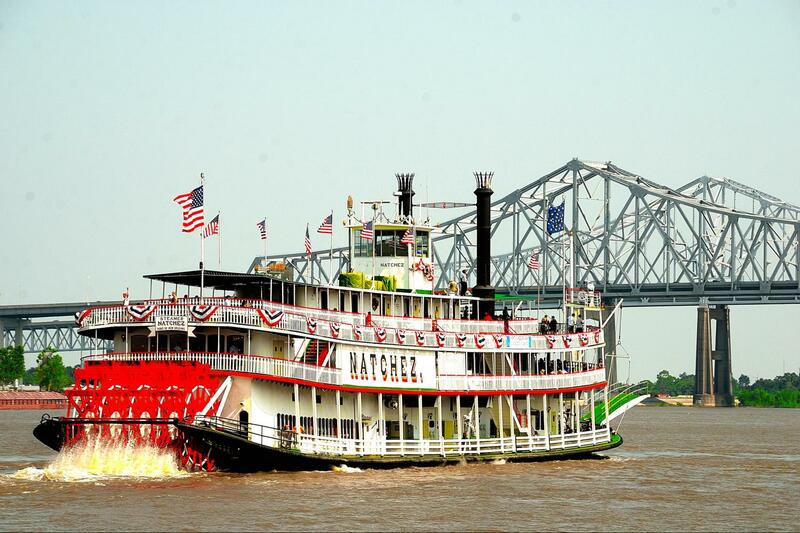 After your exciting Super City Tour by motor coach, board the historic Steamboat Natchez, one of Six Authentic Steamboats left on the Mississippi River. Enjoy a Steam Calliope Concert daily. Tap your feet to live Jazz (seasonal) on every cruise. This two-hour day cruise takes you back to a time when cotton was king and life was as slow and graceful as the current on the Mississippi River. Enjoy the captain’s narration of the highlights of one of the world’s busiest ports. Tour the Historic steam engine room and learn how steam powers the engines to turn the paddlewheel and provide the energy for the delightful tunes of the calliope. Cruise past the Chalmette Battlefield, where Jean Lafitte and his buccaneers joined forces with Andrew Jackson to defeat the British in the Battle of New Orleans. Enjoy a Creole lunch (additional cost - $13.50 per adult - advanced purchase). It was a fun experience. The food was very good, as were the musician. Even the photographer did a good job. Great cruise. I’d recommend it to anyone. Just a great experience. Bus driver was great and tour of city really showed the highlights. Boat ride was great. Relaxing and a great way to see sights. Also bartender on ship made a great drink! !